Kaspersky Lab Core Products 50% OFF! You are here: Home / Sponsored / Kaspersky Lab Core Products 50% OFF! This post is brought to you by Kaspersky Lab and The Motherhood. All opinions in this blog are my own. At this time of year we always look forward to the new year and what it brings. We also look toward improvements in our lives, health, and organization to help … our lives and our health, lol! My kids have been online most all of their lives, really. I remember when Bear was 2 he loved nothing more than being on the computer. He played “Pop the Balloon Dog” as often as he could move one of his brothers or sister out of the way! When he was 4 he asked for help with the Disney website from one of his brothers. His brother went to help him and he said “What is your password?” Bear said “MinnieMickeyGoofyDonald” His brother said “What?! Why? !” Bear responded “It said it had to be 4 characters…” lol That’s our Bear!! We live in a very digital world now more than ever before, of course but, with that comes concerns over being secure. We want to make sure we protect our online shopping, connected devices and curious kids. With Kaspersky Lab—the world’s most awarded internet security we can do just that! Family: Your kids are cybersavvy. Keep them cybersafe. 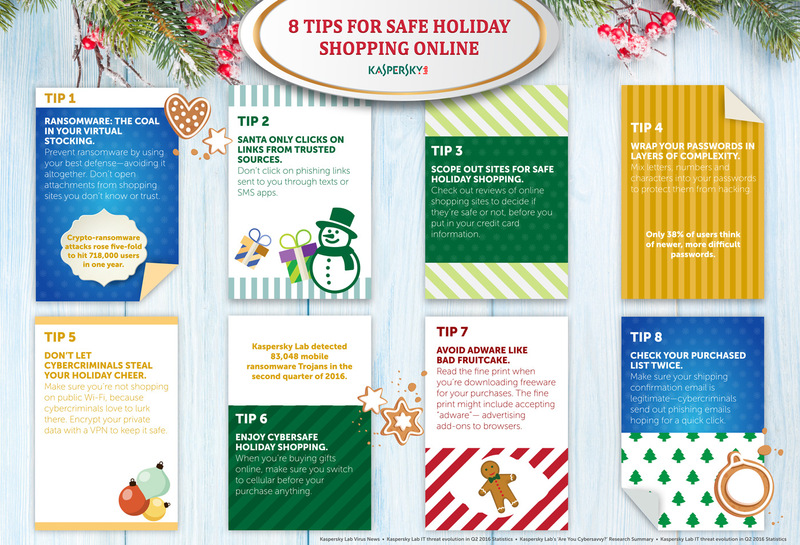 Kaspersky Safe Kids lets you set screen limits, view real-time GPS tracking, receive location and safety alerts, and get the help you need to encourage a positive online experience. Safe Money provides layers of protection so you can be sure your shopping or banking site is real and hasn’t been hacked. Make safe Wi-Fi connections, block webcam spying and browse the Internet without being tracked. Data: Don’t let your data go public. This incredible 50% off savings is available until January 10, 2017!